Edinburgh, Scotland, UK; 2 August, 2018. 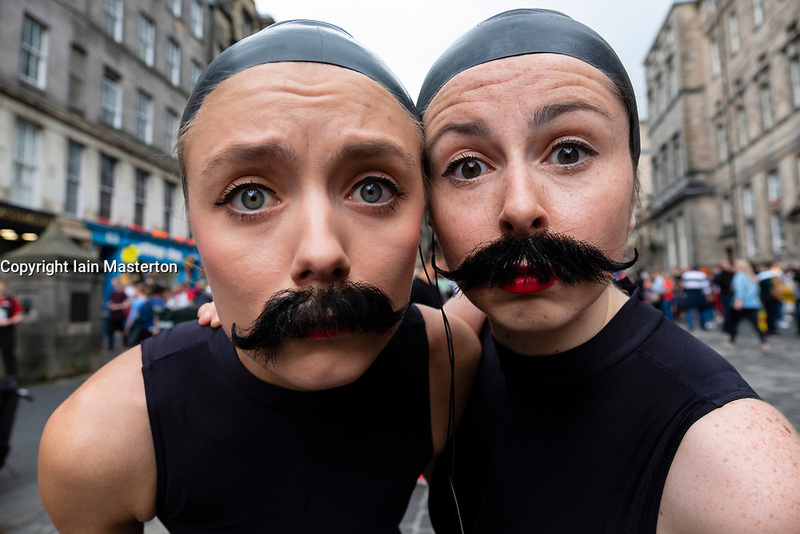 On day before official opening of the Edinburgh Festival Fringe 2018, performers are active on the Royal Mile handing out fliers and meeting the public. Pictured; Lucille and Cecilia from Bang Average Theatre, performing a surreal comedy sea lion play.